June of 2018 for Cancers will be very productive and filled with great pleasure. From the early days of the first summer month, new opportunities will open before Cancers, which will significantly accelerate the process of achieving their goals. The astrological alignment during this period will positively influence the efficiency, patience and endurance of members of your Zodiac sign. Also during this period, intuition will be strongly developed, which will help you make the right decisions and avoid irreparable mistakes. Listening to their sixth sense, Cancers can safely take risks if the inner voice suggests that this is correct. From the outside it may seem that you are illogical and inexpedient, but your creativity, ambition, and unique approach to solving problems will become the key to success, as well as the envy of surrounding people. Be bolder, more persistent and more confident in your abilities and hunches, and the rest is a matter of technique. In the first days of June 2018, Cancers will exhibit an unstable emotional state. The influence of the stars on your Zodiac sign will be mixed. On one hand, you will be overwhelmed with positive emotions and energy that are very necessary for great achievements, and on the other hand, Cancers will often succumb to their mood swings, irritability and absent-mindedness, which can have negative consequences. At such moments, the stars advise trying to ignore all the annoying and unpleasant moments that can lead you out of balance. Remember something pleasant and funny from the past, read jokes or watch comics, or listen to rhythmic music. In other words, do whatever you want, just to make yourself feel better. In early June, some Cancers may experience severe fatigue, apathy and malaise. It's just a loss of interest and a desire to do something. Simple ordinary laziness. And, to fight it, nothing is better than her own weapon. If you are too lazy to get out of bed, take a deep breath, jump out of bed, wash up with cool water and go for a run. The energy you create will carry you from there. In the middle period of June, 2018, Cancers will have as a priority their family and relationships. Representatives of your Zodiac sign will try their best to surprise and please their chosen one, give them a pleasant surprise, surround them with attention, tenderness and care. Such a manifestation of feelings will not leave the other half indifferent; Cancers can safely rely on reciprocity. In solving family and domestic issues, try to show wisdom and patience, and make decisions together, unanimously. If there are any disagreements, try to find a compromise so that you and your partner are as satisfied and not offended. Cancers are the best and most inventive dreamers, from which new ideas emerge, and the organizational skills of members of your Zodiac sign are highly appreciated. Many Cancers, if they desire, will be able to achieve excellent results in the area of professional activity. 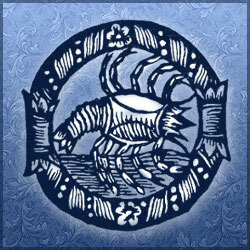 In the later stages of June 2018, Cancers should take control of themselves and learn to cope with their feelings and emotions, as excessive impressionability and emotionality can lead to the loss of excellent opportunities. Right now, those of you under this Zodiac sign will have a wonderful chance to realize what was conceived in life and enjoy some success. The professional side of life will be very organic and successful, but in private life from time to time all sorts of incidents may occur. Try to be more tolerant towards the interests and preferences of your loved ones and friends. Do not impose your choices on them; bend your line. They have every right to build their lives on their own, based solely on their own inner feelings and ideas about a happy life. A little patience and respect for the most important people, and everything will be fine; it will fall into place, and life will be better.